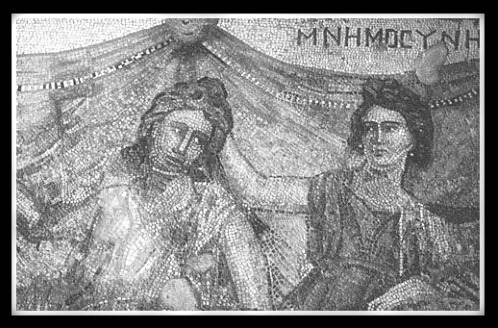 Mnemosyne/ Μνημοσύνη (Roman equivalent: Moneta(0)) was a Titaness, goddess of Memory (1) and the inventor of Words (2). Mnemosyne was also a goddess of time. She represented the rote memorisation required, before the introduction of writing, to preserve the stories of history and sagas of myth. She was the daughter of Uranus (Heaven) and Gaia (Earth). Uranus and Gaia were the parents of the first generation of Titans, consisting of twelve elder gods/goddesses, being Mnemosyne included among them. She was also lover of the Ruler of Gods, Zeus. After Zeus led the war against the Titans and established himself as the leader of the Olympians, he feared that, even though he might be immortal, his great victories and decisions might soon be forgotten. Longing for a way to preserve the memory of his many great feats, he dressed as a shepherd and went to find Mnemosyne. The account tells that Zeus and Mnemosyne slept together for nine consecutive nights, thus birthing the nine Muses (3). The Muses were nine young, beautiful maidens who became the representatives of poetry, the arts, the sciences and sources of inspiration. They were often depicted as accompanied by Apollo, who represented discipline and application of the arts. The Muses were: Calliope, epic or heroic poetry Clio, history Erato, love poetry and flute-playing Euterpe, lyric poetry and lyre-playing Melpomene, tragedy Polyhymnia, sacred music and dance Terpsichore, choral music and dance Thalia, comedy and idyllic poetry Urania, astronomy and cosmological poetry. “Apollo and the Muses” by Simon Vouet. 1640. Mnemosyne’s name derives from Mene, Moon, and mosune, ‘wooden house’ or ‘tower’, so literally means ‘the House of the Moon’. The goddess Mnemosyne is sometimes credited with being the first philosopher, as her gift was the power of reason. She was given responsibility for the naming of all objects, and by doing so gave humans the means to dialog and to converse with each other. The powers to place things in memory an that of remembrance were also attributed to this goddess. The name Mnemosyne was also used for a river in the Underworld, Hades, which flowed parallel to the river of Lethe (4). Lethe was one of the five rivers of the underworld of Hades, around the cave of Hypnos, the greek god of Sleep, and through the Underworld, where all those who drank from it experienced complete forgetfulness. 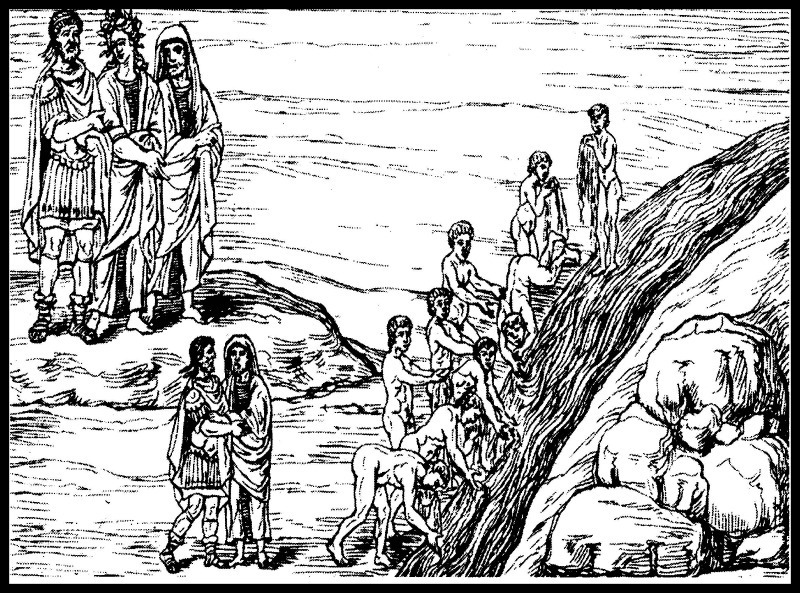 In chant XXXI of Dante’s “Divina Commedia”, at the very top of Purgatory, Dante is dipped into the River Lethe, which will cause amnesia. The chant of Asperges me (purge me) accompanies his immersion, and he then forgets his past sins and his atonement for them is complete. Lethe was also the personification of oblivion, daughter of Eris, the goddess of discord who was directly involved with the golden appple and the Judgement of Paris. Furthermore, the words Lethe or Elysium are often used as metaphors for the underworld or Hades in general. Charon was the ferryman of the dead, in the service of the underworld domains of Hades. He received the shades of the dead from Hermes, who gathered them from the upper world and guided them through the underworld. 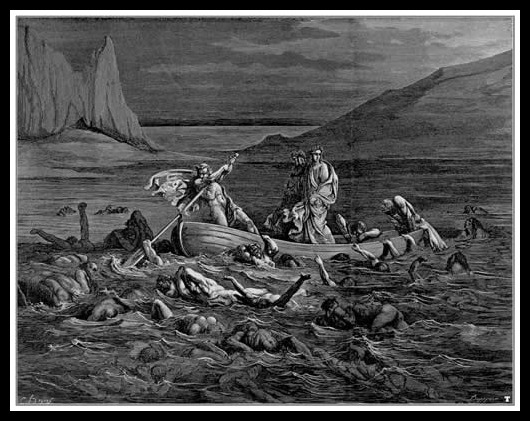 Charon transported them in his boat to a final resting place in Hades, the land of the dead, on the other side. The fee for his service were two coins which were placed on the eyelids of the dead person or just one coin, which was put in the mouth of the dead as a Greek burial custom . It was believed that those who had not received due burial and were unable to pay his fee, would be left to wander the earthly side of the river Acheron, haunting the upper world as ghosts, being also unable to reincarnate. “Mnemosyne, The Mother of the Muses” by Frederic Leighton. (19th century). Some ancient Greeks believed that souls were made to drink from the river before being reincarnated, so they would not remember their past lives. Other accounts taught the existence of another river, the Mnemosyne; those who drank from the Mnemosyne would remember everything. More specifically, according to the Orfism, a Greek mystical religious movement, the newly dead who drank from the River Lethe would lose all memory of their past existence. The initiated were taught to seek instead the river of memory, Mnemosyne, thus securing the end of the transmigration of the soul. Besides, Mnemosyne was considered a minor oracular goddess. She presided over the underground oracle of Trophonios in Boiotia. Ancient Greeks sometimes worshipped Mnemosyne in the form of a spring, alluding to her profuse, flowing energy. Before being brought to the oracle, initiates were taken to a place with two pools lying next to each other. They were instructed to first drink from the pool of Lethe, the Goddess of forgetfulness, in order that they might forget their previous lives. Then they were taken to the spring of Mnemosyne to drink so that they would remember all that they were about to learn from the oracle. Finally, Mnemosyne can be related to Aletheia, the greek goddess of Truth, Remembering and the Unhidden. The Roman counterpart for this goddess is Veritas. 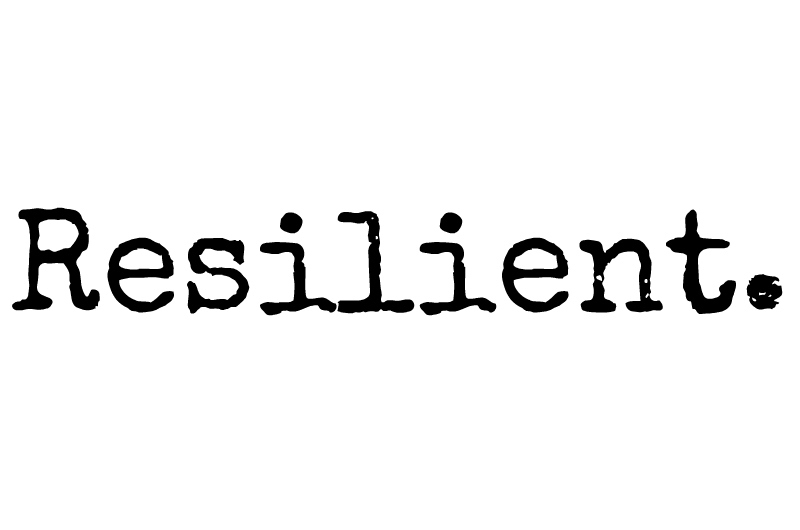 Aletheia (ἀλήθεια) is a Greek word variously translated as “unclosedness”, “unconcealedness”, “disclosure” or “truth”. Contained within the etymology of the word Aletheia is “lethe” meaning “forgetfulness”, “oblivion” and also applicable to one of the five rivers of the Underworld in Hades, as it was previously said. 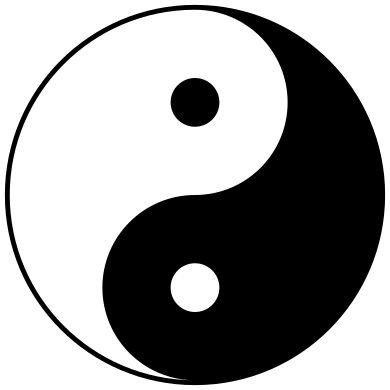 The german philosopher, Martin Heidegger in his book “Time and Being” drew out an understanding of the term as ‘unconcealedness’. According to him, aletheia is distinct from conceptions of truth understood as statements which accurately describe a state of affairs (correspondence), or statements which fit properly into a system taken as a whole (coherence). Instead, Heidegger focused on the elucidation of how the “world” is disclosed, or opened up, in which things are made intelligible for human beings in the first place, as part of a holistically structured background of meaning. There is also an interesting association between Memory, seen as a faculty and Plato´s theory of Ideas. Plato, through Socrates´voice, states- in the dialogue “Phaedo”- that the soul was immortal and gives four arguments to prove so. The basis of these reasonings were previous statements which relate the ability to apprehend Ideas through a sort of process of intuitive memory. In Plato’s Dialogues, learning appears as a process of remembering, assuming that the soul, before its incarnation in the body, was in the realm of the “Forms”. There, the soul saw the Essences-Forms or Ideas, rather than the pale shadows or copies we merely experience on earth. Hence, when we identify an object, we are just remembering the Idea or Form which remains as an incorruptible and eternal essence behind and at the same time beyond the particular object. To make rejoinder to Moneta‘s mourn. 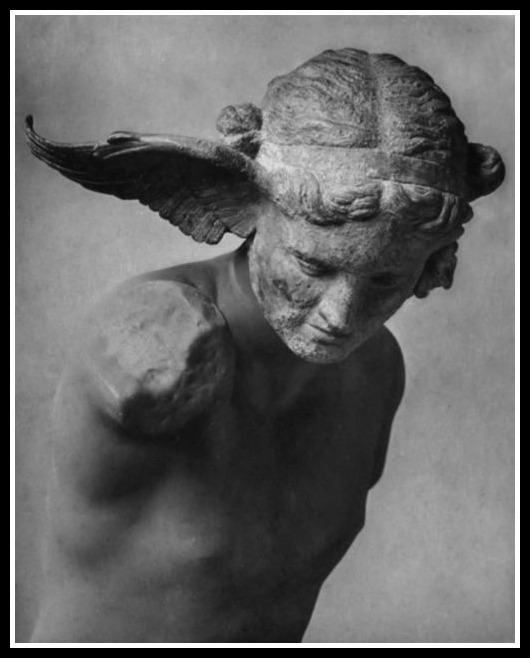 God Hypnos, Bronze sculpture found at Perugia in 1915. British Museum. “ River Lethe” by Lizzy Schule. 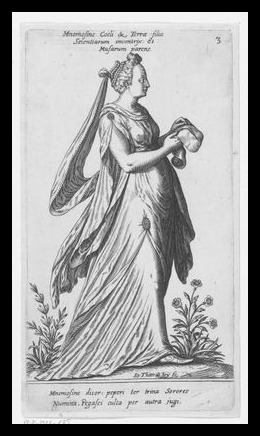 Mnemosyne by Johann Theodor de Bry. 16th century. The goddess Mnemosyne places her hand on the back of a man’s head, symbolically aiding his memory. Mosaic. C2nd – C3rd AD. Imperial Roman Period. 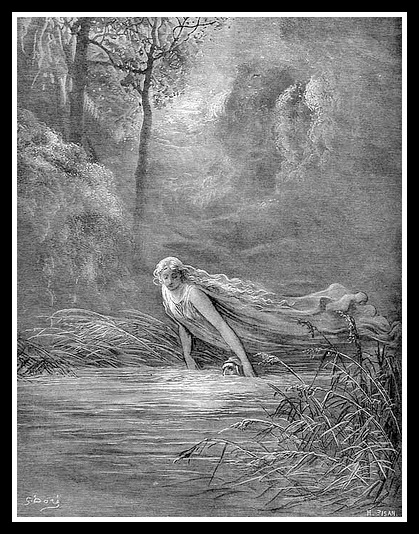 The rivers Lethe and Mnemosyne. This part of the post on Mnemosyne consists of a collaboration with two talented canadian women. Resa McConaghy and Christy Birmingham. I was initially invited to join Resa and Christy in order to work in something together. Resa is an artist and costume designer and Christy a freelancer writer and poet. I was delighted to be part of the project which figuratively unites a continent from North to South, or viceversa. And, nor less than having a Greek Goddess as pretext!. Resa created a beautiful gown based on Mnemosyne whilst Christy wrote a poem following the same implicit prompt. Resa has created a mesmerizing gown inspired in Mnemosyne. She chose red and white for the dress and added some beautiful details such as golden traces representing Mnemosyne’s daughters, the Nine Muses. I also liked the way she introduced the iconic two masks, depicting Comedy and Tragedy. Mnemosyne was the patroness of poets, and she played a very important role when it comes to preserve the Oral tradition. So I think this detail speaks out loud in that sense. Resa tells us more about this gown in her post on Goddess Mnemosyne, which you will be able to find on her blog Art Gowns. Goddess Mnemosyne. Artgown by Resa McConaghy. Christy has written a beautiful poetic ode to Mnemosyne. The title is so clever, I like the fact that she has chosen a gerund and that Mnemosyne, the Goddess of Memory is being remembered. The first stanza delves into the temporal dialectic of memories (second and third verses), alluding to Mnemosyne´s daughters and developing that idea in the second stanza, in which Zeus is also mentioned as the father of the Muses. The third stanza entails a great twist as it places Mnemosyne´s influence among us, hic et nunc (here and now). Christy highlights how Mnemosyne is being acknowledged in the collaboration that beckons her spirit to birth again. You can check out more Christy´s poems on her blog Poetic Parfait. Would later inspire three creative women afar. Red fabric that cloaks us all in comfort. ©Poetic Parfait 2016. 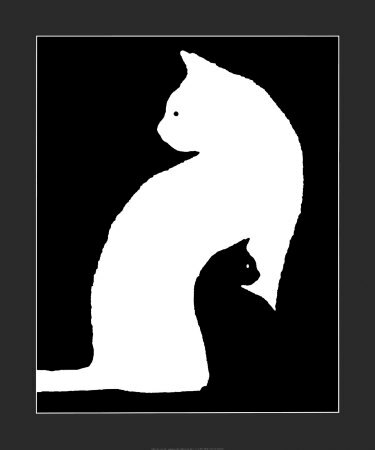 Artwork for Christy Birmingham´s Poem. 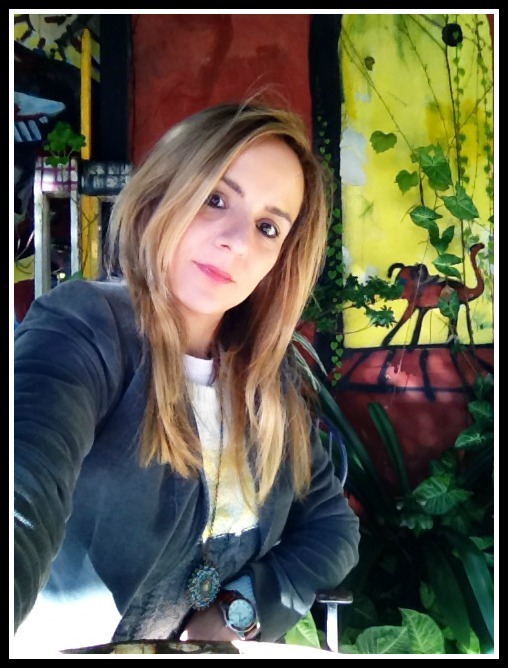 Christy is a canadian freelance writer, poet and author. She is the author of two books. The poetry collection “Pathways to Illumination”(2013), available at Redmund Productions. And another poetry book, “Versions of the Self” (2015), which you can find on Amazon. She also hosts two blogs: Poetic Parfait and When Women Inspire. You can connect with Christy on Twitter too.